How’s your week been? It’s Friday evening now, so however it has been, it’s going to get SO much better. Have a drink! Hang out with some awesome folk! Go dancing! Punch some sandbags! Also, do one more thing. 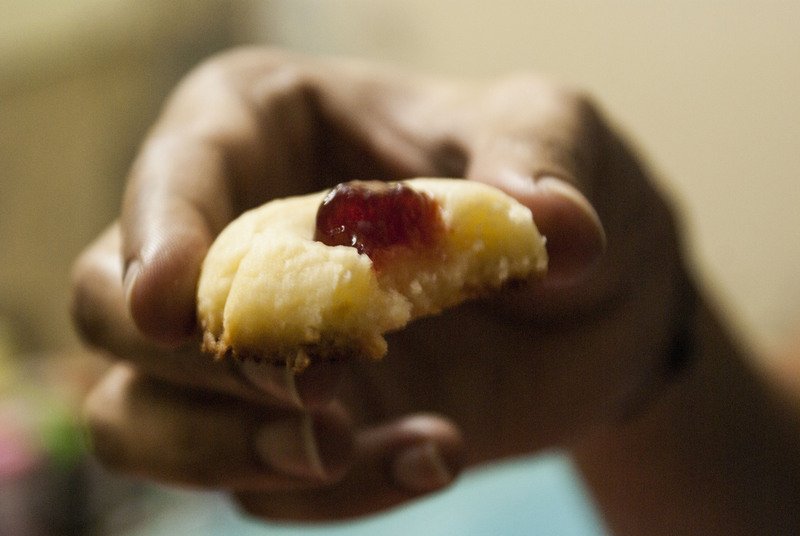 Make these cookies. You’ll need only four ingredients (win!) and just a few minutes (more win!). 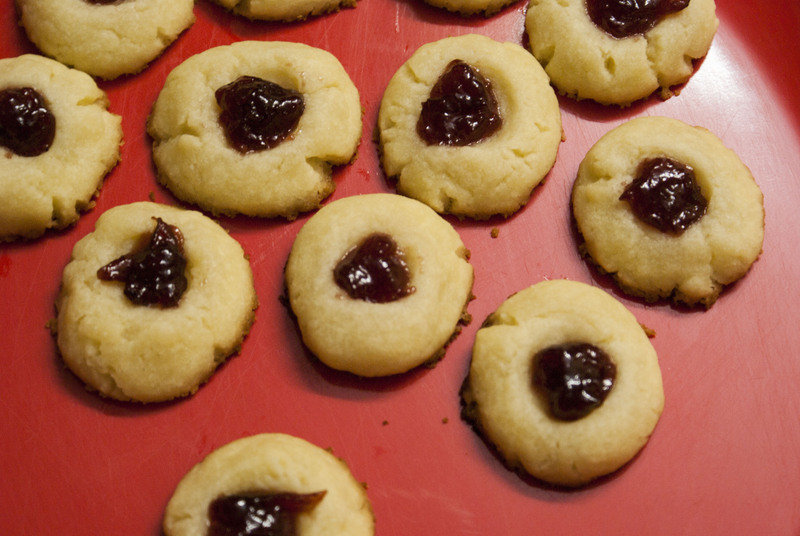 These cookies are a touch sweet with a kiss of salt. 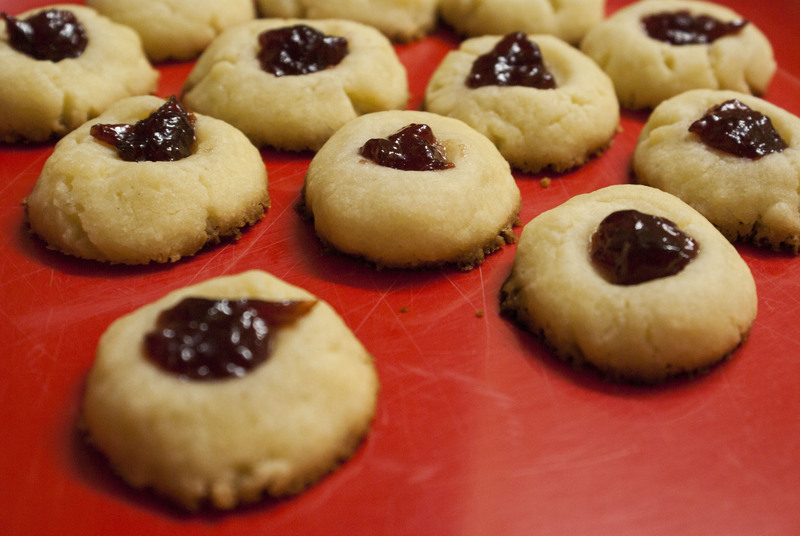 Use any jam or marmalade you like – I used Plum jam. It’s so much fun doing this. 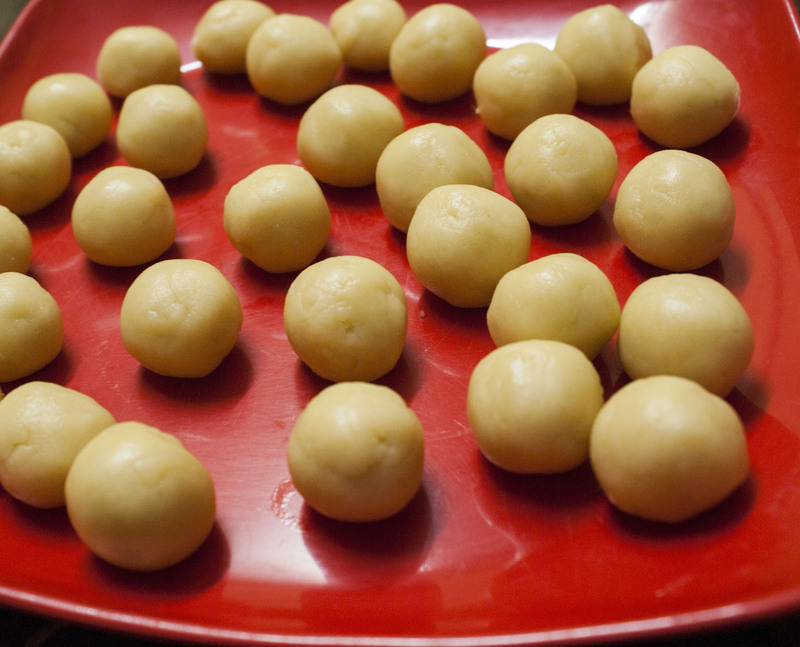 Once you mix the butter, sugar, and flour together, you make these cute little balls of dough. 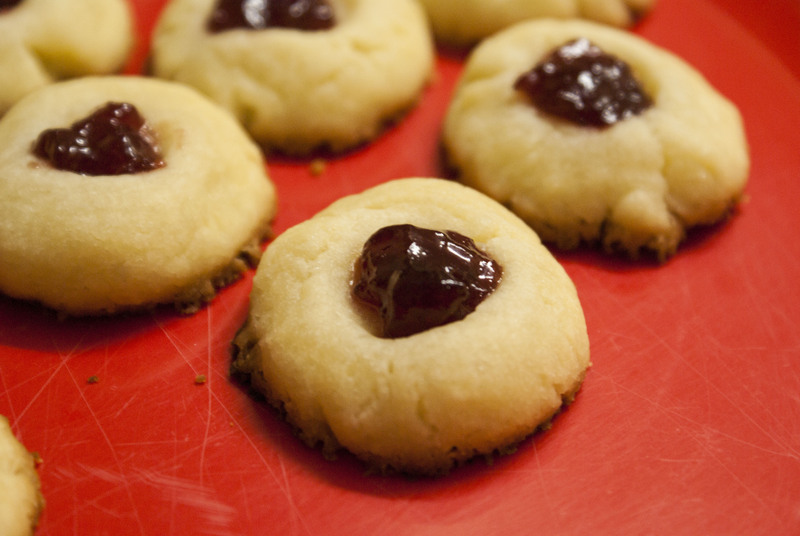 You can bake these cookies on a baking tray like this. Or you could pop them into a cupcake tray like this. Either way, I promise they’ll be delicious. 1. Place the melted butter in a large bowl, and stir in the sugar. Add the flour a little at a time, gently mixing to incorporate into a dough that comes away from the sides of the bowl. Do not over mix. 2. Place the dough in the fridge for about half an hour. 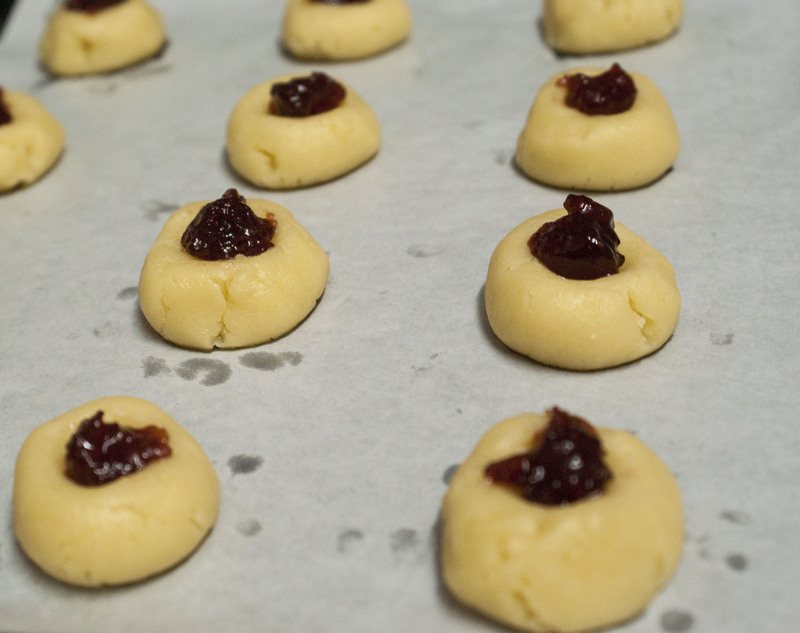 Preheat the oven to 180º C. Line a baking tray with parchment or have a cupcake tray at hand. 3. 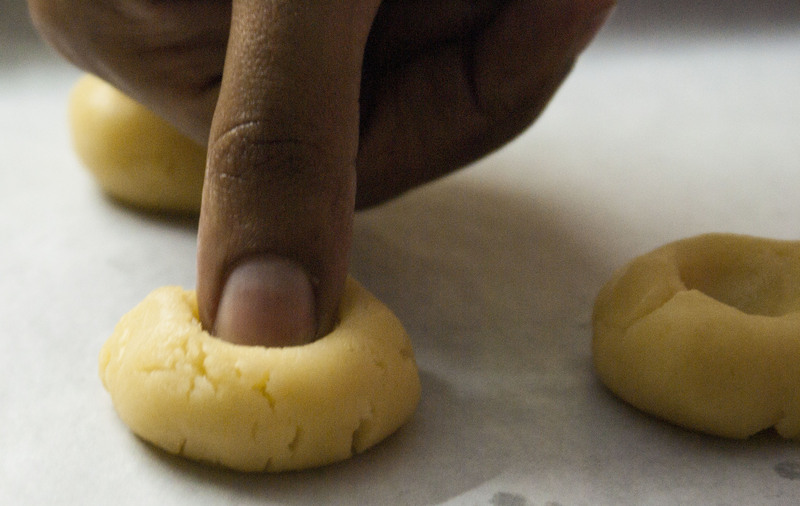 Roll the dough into small balls between your hands. You should be able to get around 30. Place each ball on the tray and very genty press down in the centre of each, using your thumb. Aim for a small groove, not a big dent. 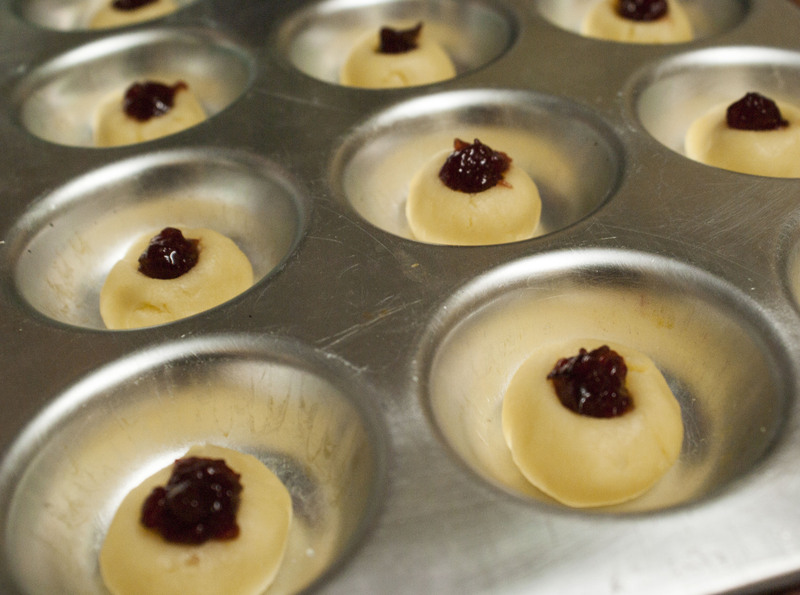 Fill the grooves with jam. Bake for 15 minutes for a fudgier cookie, and 20 minutes for a crispier cookie. Remove from the oven and cool before eating. Can we try any variety of Jam? will it affect the taste? Not at all! Try any jam you like!